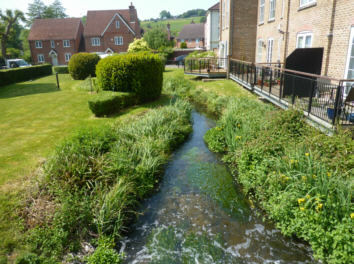 There have already been many impressive successes in Wycombe District Council’s work to enhance the River Wye. At Grafton Street near to Desborough Recreation Ground. It’s gloriously overgrown, which is just what wildlife likes! 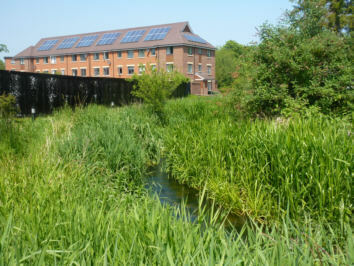 The Back Stream as it passes through the new Wye Dene estate. 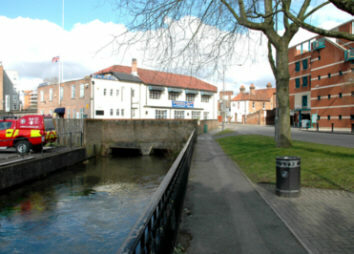 The Council rightly insisted that the river should be kept above the ground. 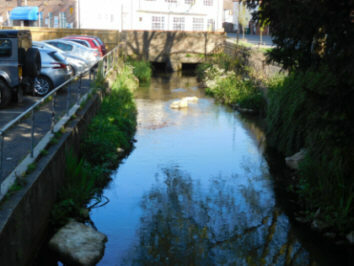 There are some lengths of the River Wye which are open, even in the town centre. Here’s what we call “Jack’s Garden” (after the High Wycombe Society founder, Jack Scruton, to whom there is a memorial at the entrance). 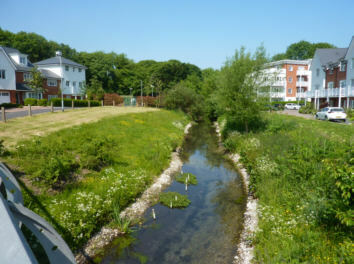 Waterbirds such as grey wagtails, which feed off insects by the water, can often be seen here. The Revive the Wye partnership has worked hard to make the open lengths of the River Wye more friendly to wildlife. A flat concrete river bed is no good at all. 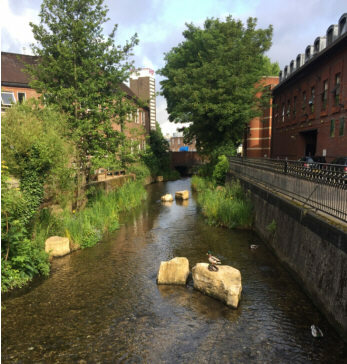 You need boulders and level changes so that the water flow provides places where fish and plants can thrive, and to enable fish to swim upstream as well as down. And, of course, plenty of vegetation. Some people think it’s untidy but wildlife loves it! 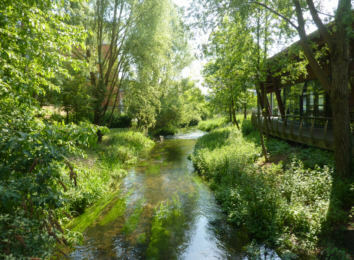 Revive the Wye is a partnership of eight organisations: Friends of the Wye, the High Wycombe Society, the Chiltern Society, the Chiltern Rangers, the Chilterns Chalk Streams Project, the Wycombe Wildlife Group, Wycombe District Council and the Environment Agency. 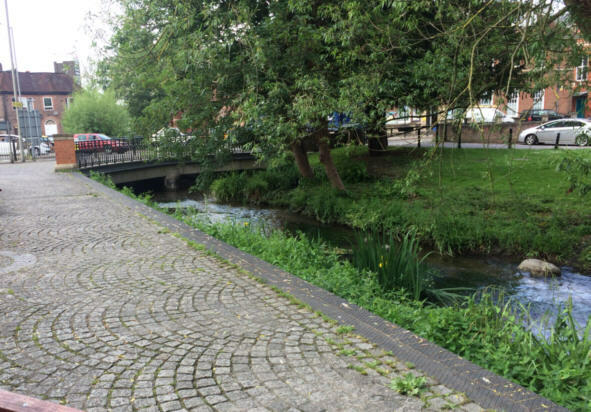 Here are some results of the River Wye ‘naturalisation’ project near the Swan Theatre frontage.